There’s no way to hide it: most Americans consume too much sugar. We continually snack and eat sweets with way more than we need. The World Health Organization recently announced that sugar intake should amount to only 5 percent of a person’s daily calories. Sound impossible? It’s not! Sugar is hidden in thousands of places where you’d least expect it. Keep an eye out for these foods, and you may be able to drastically reduce your consumption. Fruit yogurt is one of the most popular breakfast and snack choices, but it is also one of the biggest surprise sugar bombs. With 19 grams of sugar per serving, it shouldn’t come as a shock that people love this food…it’s basically a dessert! Next time you are about to buy yogurt, try going Greek. It has double the protein and a lot less sugar! You may think you’re starting your morning off right with instant oatmeal, but the quick and easy breakfast food is hiding a dangerous secret. Many fruit-flavored oatmeal varieties contain up to 18 grams of sugar. That’s more than four teaspoons! Next time you’re looking to buy this food, opt for plain oatmeal and add fresh fruit or a dollop of honey for flavor. Dried fruit sounds healthy, but it might as well be candy. With all of the water taken out, it has way more sugar than fresh fruits. For example, a tiny box of raisins has more than 25 grams of sugar. Compared to 15 grams in a full cup of grapes, that’s a pretty hefty amount! Many fruit brands actually supplement natural sugars with even more added sweetener. If you’re thinking about adding dried fruit to a salad or trail mix, make sure to check the label first. While you probably didn’t expect Chinese takeout to be healthy, it may come as a surprise to you that these meals are loaded down in sugar. Containing up to 19 grams per serving, sweet and sour chicken and many other American Chinese dishes can be dangerous when not consumed in moderation. There are some great Chinese dishes out there, just do a little research before you dine! Pasta sauces may not taste sweet, but many jarred tomato sauces are loaded with sugar. Pasta sauces have between 6 and 12 grams of sugar per half-cup serving. That’s about the same as a chocolate chip cookie! Check the ingredient label for the sugar content of your favorite marinara or Alfredo and look for varieties with no added sugar. If you have time, make your own sauce by blending some roasted tomatoes with a little water and some sauteed garlic. 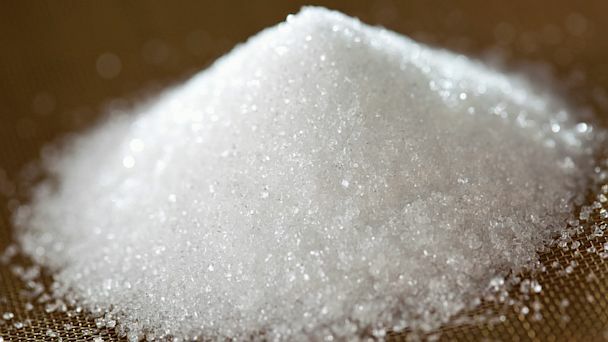 Hopefully you’ve learned from this blog post that sugars can lurk just about anywhere. The reason our sugar consumption has gone out of control isn’t just that Americans enjoy the occasional slice of cake or bowl of ice cream. It’s because sugar is in all the places we wouldn’t expect! Be vigilant and you’ll find yourself feeling better and living healthier.